I am interested in 306 Van Impe Ct, Saskatoon, SK. 306 Van Impe Ct is a 1915 square foot House for sale in Saskatoon, SK S7W1C1. 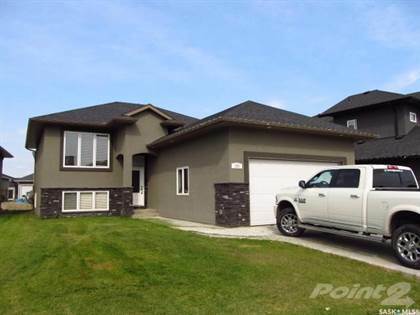 It has 4 beds, 4 baths and was listed on Ovlix.com since March 1, 2019 by Realty Executives Saskatoon for $575,000. Listing agent: Christian Didur. The average price for similar 306 Van Impe Ct real estate listings - $585,070 which is 31% higher than $405,819 for Saskatoon, and 50% higher than $299,061 for Saskatchewan. Comparable nearby homes are: 251 Greyeyes-steele Way, 166 Boykowich Bnd, 126 Mcfarland Pl, 707 Sauer Cres, 202 Brunst Cres. What's near 306 Van Impe Ct, Saskatoon S7W: Dutch Growers Garden Centre, Badass Jack's Subs & Wraps, Forestry Farm Park and Zoo, Preston Crossing, Wing World, Kenderdine Medical Clinic, Rugby Chapel, La Bamba Cafe, Aspen Ridge, Saskatoon.